The new USA action series Shooter is neither a return to the “blue sky” model of Royal Pains and Burn Notice nor another dip into the more formally adventurous waters of Mr. Robot. It’s likely to appeal (at least initially) to those impatiently awaiting the return of Homeland or the launch of 24: Legacy. If the title sounds familiar, you might be thinking of the 2007 Mark Wahlberg vehicle of the same name, which, like this series, is based on the novel Point Of Impact by Stephen Hunter. (Wahlberg serves as an executive producer on the show.) More likely, you might remember news stories of the series launch being delayed twice this past July due to real-life shootings, pushing the premiere back to this safe, post-election period in which everything is just fine. At the time of the delay, there was some chatter about the series title being changed, but it’s probably for the best that it hasn’t been. Shooter tells you exactly what it is, and it isn’t lying. If you’re not in the mood for a show that is thoroughly fascinated with guns, one that aestheticizes and fetishizes them to an absurd degree, steer clear on Tuesday nights for the next 10 weeks. 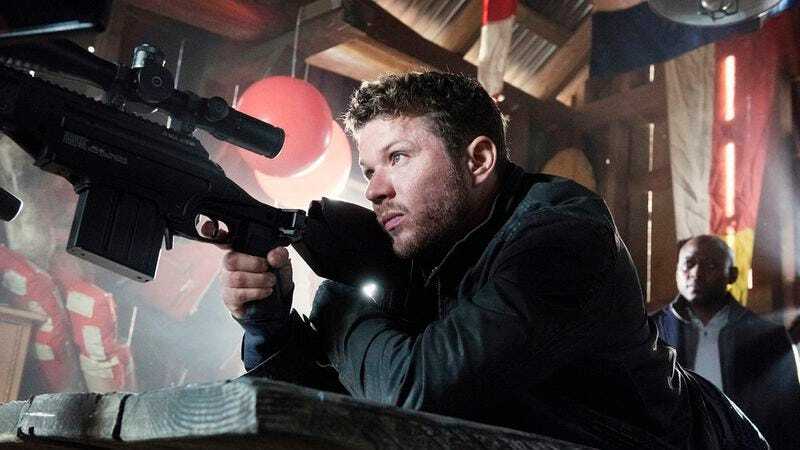 If that doesn’t bother you or you’re able to overlook it, Shooter is a passable conspiracy thriller in a familiar mode, albeit one that’s at least two episodes too long. 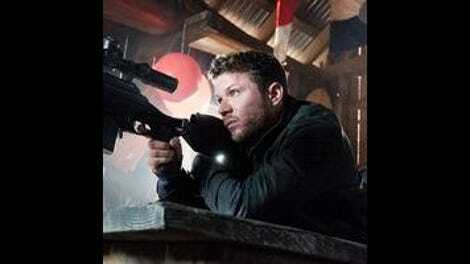 Ryan Phillippe stars as Bob Lee Swagger (yep, the hero’s name is Bob Lee Swagger, and you may as well know that one of the villains is named Jack Payne), a retired Marine sniper and Afghanistan war hero now living in domestic tranquility in Washington state with his wife, Julie (Shantel VanSanten), and young daughter, Mary (Lexy Kolker). One fine day, Swagger’s former commanding officer, Isaac Johnson (Omar Epps), drops by to enlist the world’s greatest sniper into another important mission for his country. There is credible evidence that an attempt on the president’s life will be made in Seattle, and Johnson wants Swagger to figure out where the shooter will be setting up so they can stop him before it happens. Suffice it to say that not everything is as it seems, and by the end of the first episode Swagger is on the run from elements of the CIA, Homeland Security, the Russian Federal Security Service, and a defense contractor called Anhur Dynamics. He’s also attracted the interest of the FBI, particularly Agent Nadine Memphis (Cynthia Addai-Robinson), one of the few open to the idea that Swagger may be the patsy of a larger conspiracy. For the most part, however, Swagger is on his own as he navigates a shadowy world of global espionage, paranoid militia groups, weapons dealers, and ex-military loners. Well, not entirely on his own. He’s got his guns and his unmatched skills for shooting them. Writer John Hlavin and director Simon Cellan Jones set the tone right from the opening minutes of the first episode as Swagger stalks a wolf in the woods near his home (to free it from trap hunters, it turns out). Our point of view is through the scope of his rifle, again and again throughout the 10 episodes. The camera lingers over loving, slow-motion shots of ammo being loaded, sights being adjusted, and barrels being cleaned. Computer-generated sequences tracking bullets along their trajectories are commonplace. Head shots are teased repeatedly, though it’s not until the season’s final hour or two that graphic depictions are delivered. Now and then, Shooter feints toward a critique of gun culture and the damage done to veterans who spend too many years living by the bullet, but it never amounts to much. The story is engaging enough in the early going, with Swagger a serviceable if not especially memorable hero in the Jack Bauer mold. Phillippe never matches the intensity of Kiefer Sutherland’s performance in that role, but he projects a believable-enough toughness and decency. VanSanten does her best to liven up a paint-by-numbers long-suffering wife-mother character, and Addai-Robinson is a welcome presence in a gender-swapped take on the role played by Michael Peña in the movie. Best of all is Tom Sizemore, who brings a magnetic sleaziness to the part of a rogue CIA operative. The air leaks out as the season approaches its conclusion, with the final few hours consisting mostly of repetitive showdowns and reversals. One minute Swagger has his sights on the bad guys, the next minute they’ve got the drop on him, and on and on it goes. (Wife and child endangerment, you ask? But of course, and plenty of it.) This story was told once before in 124 minutes. By the end of the season, the question of whether it can be sustained for 10 hours has long since been answered.